May 17, 2012 – Thank you for your extraordinary advocacy around VAWA’s reauthorization and your work to defeat H.R. 4970, a bill that moves backward on VAWA reauthorization. Although the bill passed in the House (222 to 205) it was a divided and very close vote. This close vote will help to strengthen the voice of victims when the House and Senate bills are reconciled in the conference process and we will continue to work hard to get a VAWA that moves forward. Our work is not done! Now we must thank those who stood for and with victims of violence and express our disappointment in those who did not and voted to weaken VAWA. We can look forward to the conference process, where we can push to ensure that the vote will more closely reflect the Senate passed S. 1925. Please take the following actions – we have to keep the pressure up to get the best law for victims! Now we need to thank Representatives who voted against H.R. 4970. Did your Representative vote “NO?” Find out: http://clerk.house.gov/evs/2012/roll258.xml#N. 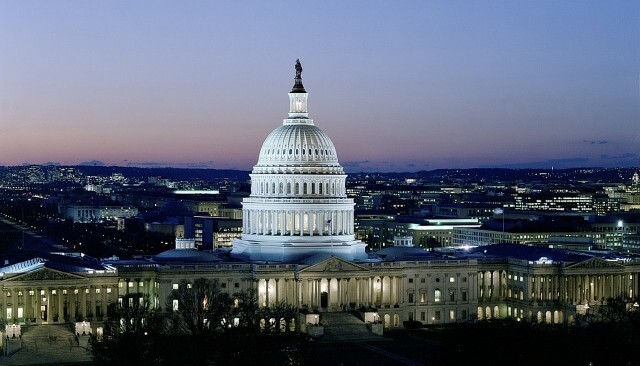 Use the Capitol Switchboard to be connected with your Representative’s office (202) 224-3121. The letter below is designed for individuals and organizations who voiced their concerns with H.R. 4970 and were disappointed in their Representative’s vote. I am writing to express my extreme disappointment in the passage of H.R. 4970 in the U.S. House of Representatives. I called my Representative (insert name) and urged her/him to vote against this bill which rolls back protections for victims and does not meet the urgent needs of many victims. Not only did my Representative not listen to me, he/she did not listen to any of the thousands of organizations and individuals engaged in the work to end violence against women who urged them to vote against the bill. Many Representatives claimed that the provisions in the Senate bill were included to make this a political fight. As a victim advocate, I have no interest in such a fight. I just want to ensure that all victims are protected from abuse and that perpetrators are held accountable. And make no mistake, H.R. 4970 is not a bill that is supported by my organization and it does not address many of the most pressing needs of victims The House had the opportunity but failed to take up the bipartisan Senate bill that enjoyed the support of thousands of victim-centered organizations working to end domestic and sexual violence. We urge the House and the Senate to come together to pass a bipartisan bill that builds upon VAWA’s strengths, moves the legislation forward and meets the urgent needs of victims. 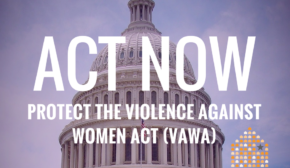 Victims need VAWA to pass – with protections and services for all!